Cover yourself with this beautifully stunning medium weight soft faux fur blanket. 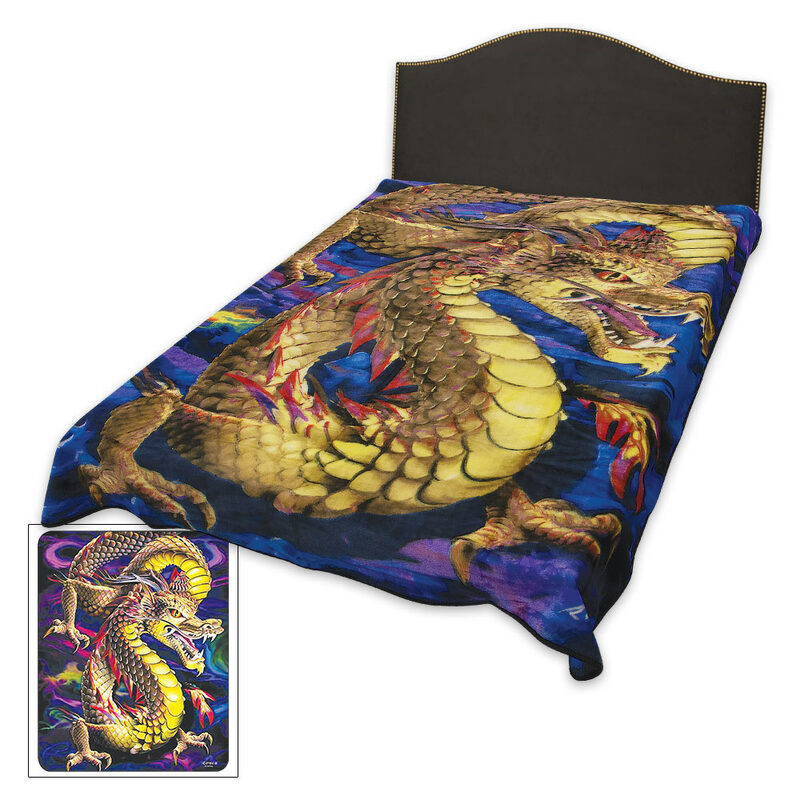 The queen-sized, super plush blanket features a vivid and colorful Chinese dragon on a background of smoke swirls of shades of purple with pops of pink and green. The officially licensed design is vivid and luxurious. 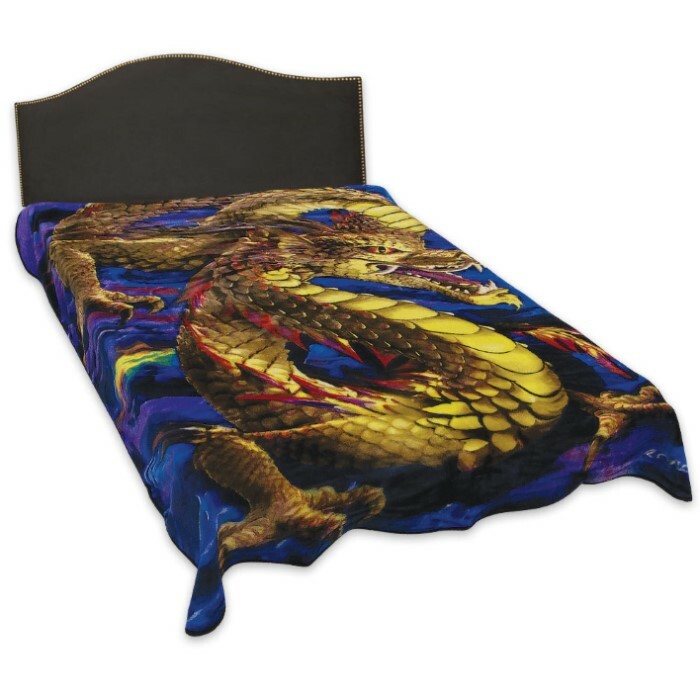 I purchased this blanket because of the colors and it's a dragon. It is warmer than you would think. 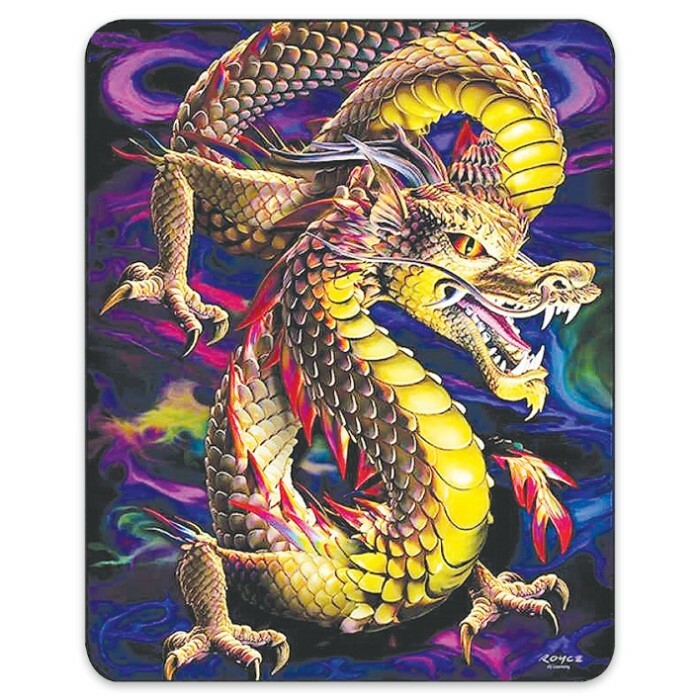 The picture looks more Asian dragon but real life it looks much more traditional and the colors are not as bright. It is beautiful and I am not disappointed! Just a smidge smaller than queen size but a great size for 2 people!